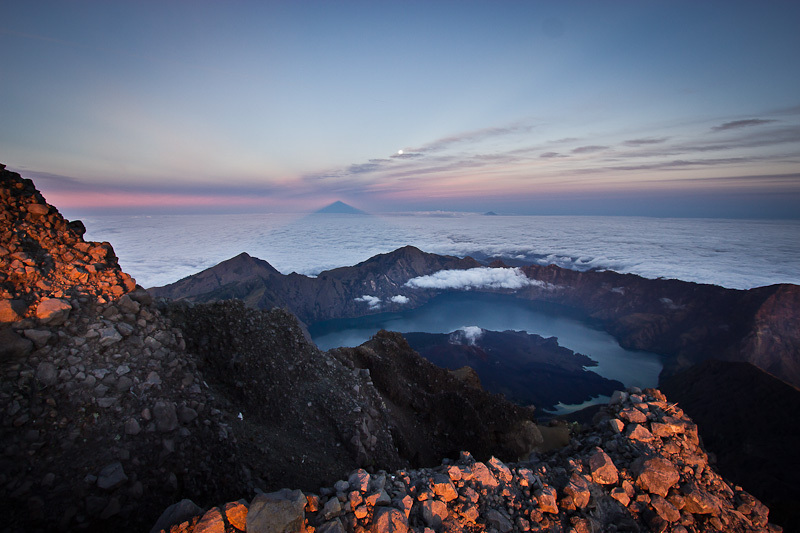 Dominating the landscape of Lombok is Gunung Rinjani, towering 12,224 feet and standing as Indonesia’s second-tallest volcano and third-highest mountain. It is protected with a national park of the same name which covers around 41,330 hectares of mountainous terrain. 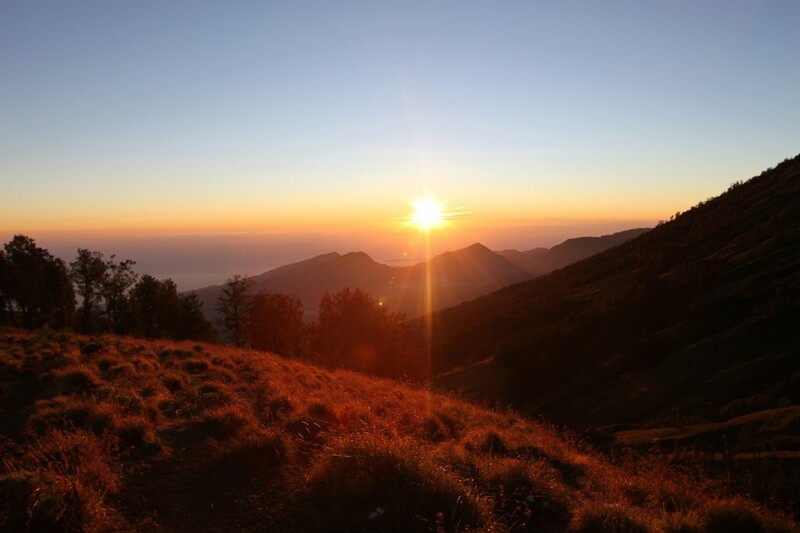 With an impressive jagged peak and azure blue crater lake at its base, the trek to the edge of Gunung Rinjani and the challenging sunrise ascent to its summit has become a favorite amongst travelers to Lombok. 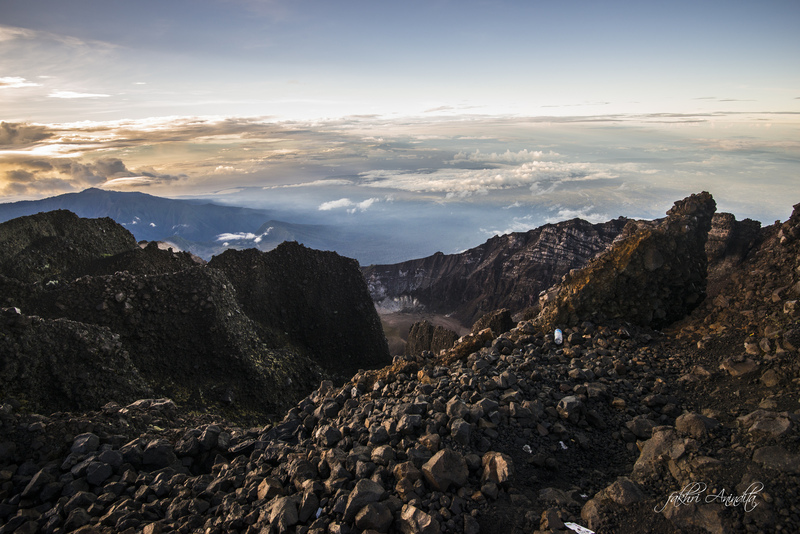 Gunung Rinjani is still an active volcano with sporadic eruptions occurring as recently as 2010. 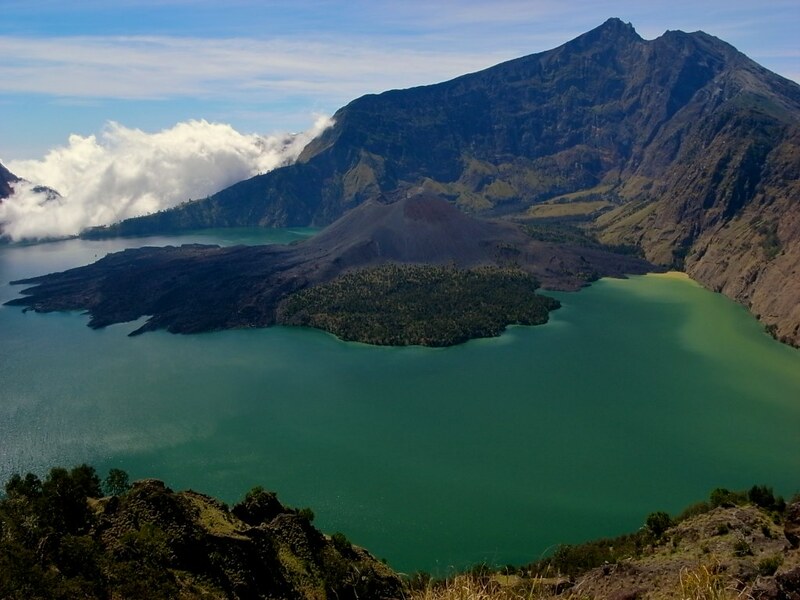 The first recorded eruption of Gunung Rinjani was in 1847, while previous activity is unknown due to the region’s inaccessibility. The new crater cone which is now visible, Gunung Baru, was created during a period of volcanic activity between 1994 and 1995. 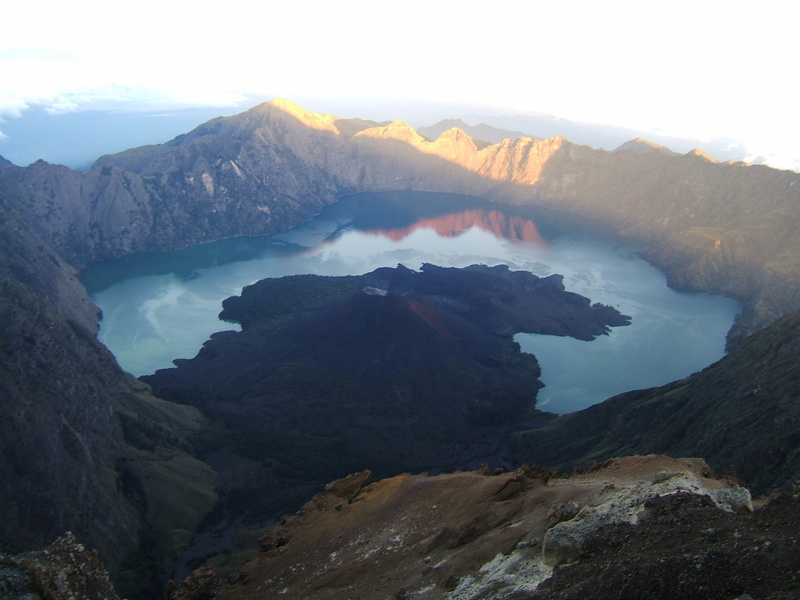 Rinjani became active again in 2009 and routes to the summit were closed temporarily. The most recent eruption in May 2010 saw a plume of smoke rising up to 1.2 miles into the atmosphere and spreading across 7 miles, extensive lava flow into the caldera lake, and damage to some of the surrounding crops. 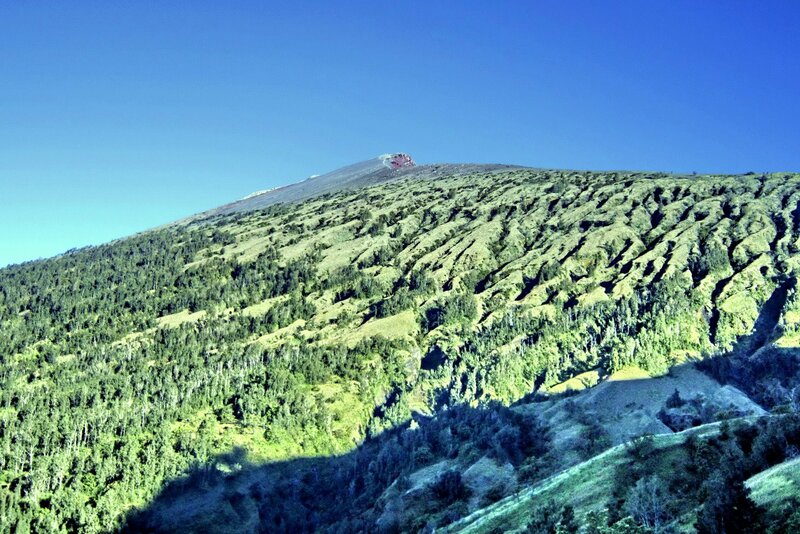 The Center of Volcanology and Geological Hazard Mitigation carefully monitors the volcano and limits activity within the national park if an eruption threatens. While above the tree line of Gunung Rinjani, the slopes are dominated by scree and volcanic rock, below they are heavily forested with tropical species such as fig and casuarina, as well as densely-hung epiphytes. Orchids can often be found along the lower slopes while edelweiss is one of the hardier sub-alpine species in the park. The density of the forest means that birds are generally heard rather than seen, but with some patience and a good set of binoculars you may be able to spot Honeyeaters, Green Hanging Parrots, and Sulphur-Crested Cockatoos. While trekking you will also hear the call of monkeys, most commonly Long-tailed Grey Macaques, but also Ebony Leaf monkeys can be spotted. Rusa deer, wild pig, and leopard cat are more illusive mammalian residents in the park. 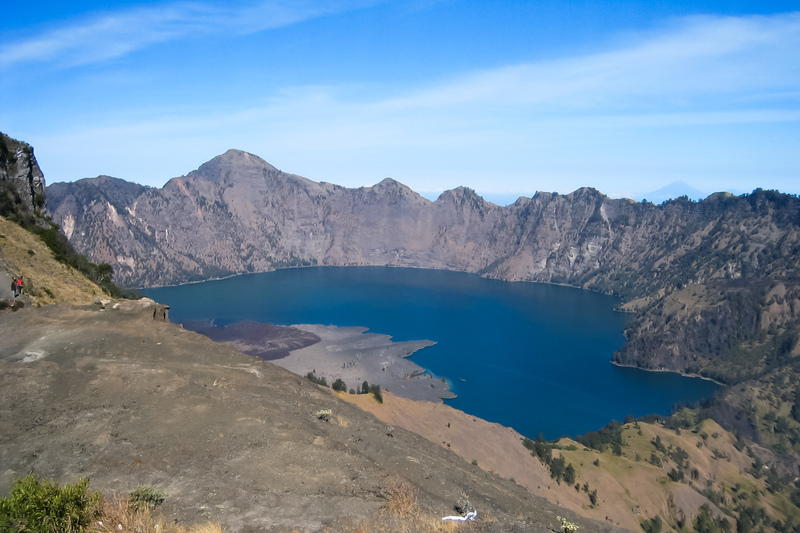 Most visitors to the park come to trek either to the crater rim, with its stunning views into the crater lake below, or to go all the way to the jagged peaks of the summit, most commonly for sunrise, from where there are impressive views across Lombok and all the way to Bali. 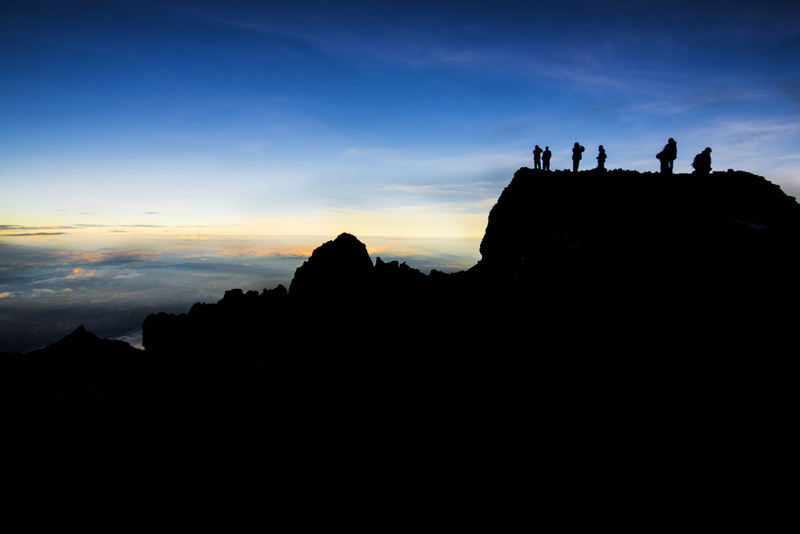 The three-day/ two-night trek gives you the option to do both, with the first night camping at the crater rim and the second at the base of the summit, ready to ascend in the early hours the following morning in time for sunrise. It also allows you time for a soak in the Aik Kalak hot springs on the second day, a natural geothermal pool not far from the shores of the crater lake. The trekking on the first day is strenuous with a steep ascent all the way to the crater rim, firstly through humid tropical forest and then exposed scree. 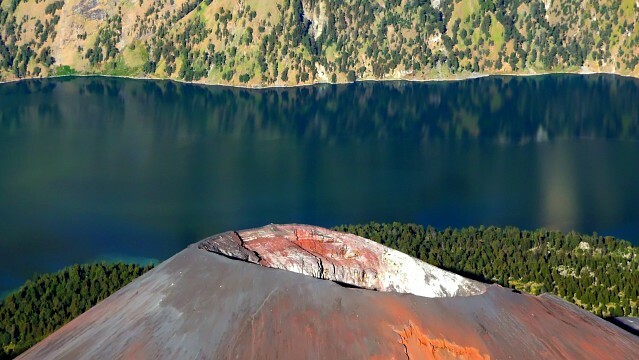 On the second day you descend to the crater lake for lunch and a soak at the hot springs, before another difficult ascent to the summit base. The final ascent on the third day is incredibly challenging due to the altitude and slippery scree conditions. The rewards of watching the sun peak over the horizon and ignite this incredible landscape is worth the efforts involved. If you are ascending in the dark for sunrise, make sure to bring a good torch and plenty of warm clothing as temperatures are bitterly cold! 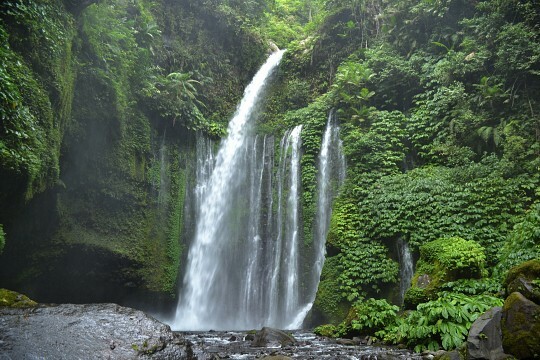 In addition, there are a number of caves within the park, Gua Susu, Gua Payung, and Gua Manik to explore if you want to get off the beaten track. 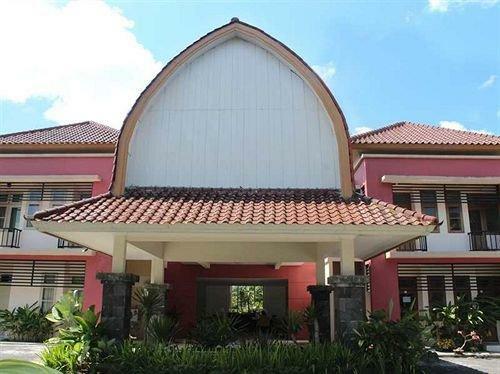 There are two access points into the park - one at the village of Senaru to the north and another at Sembalun Lawang on the east. 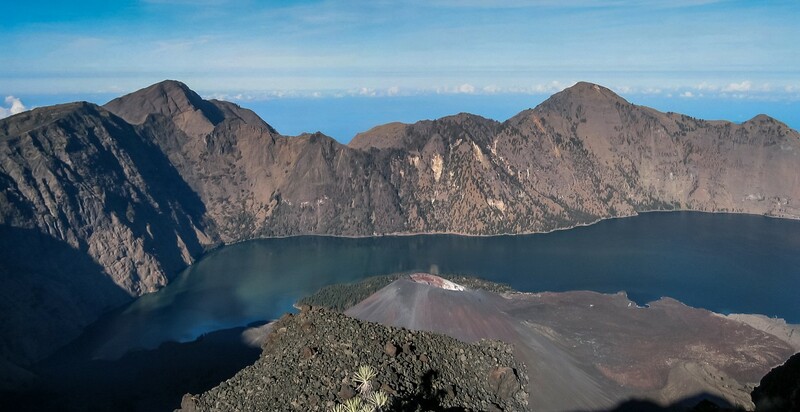 While the latter is much closer to the summit, most people enter through Senaru as it is closer to the popular tourist beaches of Senggigi and the Gili Islands . 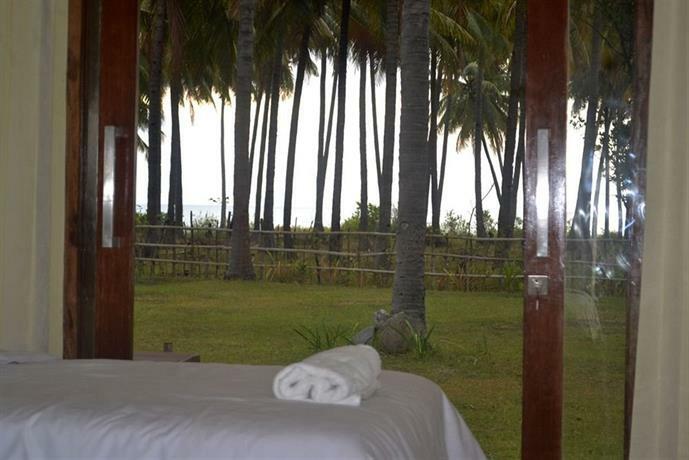 At either of these resorts you can easily organize trekking trips which include transport from your destination and a night in Senaru before the trek, as well as transport to your preferred destination following the trek. 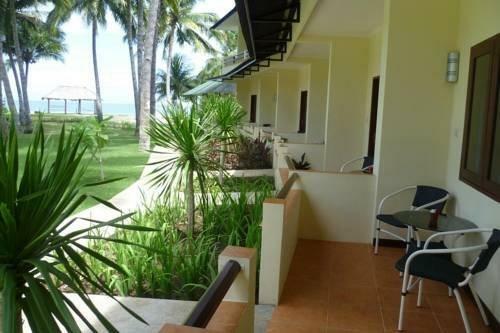 Prices are highly negotiable with both tour agencies and scouts who meet boats arriving from the Gili Islands. It is possible to organize everything yourself but the park does require that you use a guide certified by the Licensed Guide Association*. 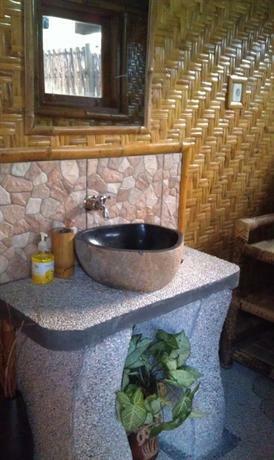 It also provides porters and cooks which are included in all trekking tours. 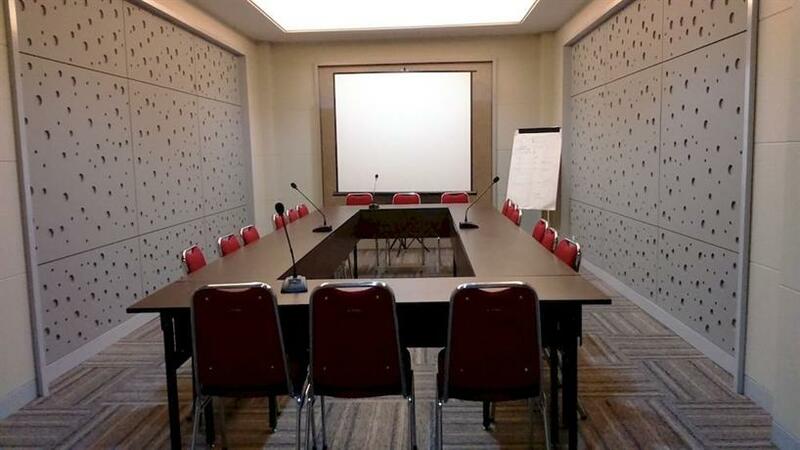 It costs 150,000 IDR to enter Gunung Rinjani National Park and the fee is said to be split as follows: 62% to the Rinjani ecotourism trekking program, 25% for trail maintenance, and 13% to the national park authorities. Despite this official distribution of funds, the trail is covered in rubbish left by the tour groups and regulation of waste disposal seems to be almost non-existent with porters often upending bags of rubbish instead of taking it with them. If you are taking a tour, insist that your company takes all waste with them from the mountain to help ensure the environmental sustainability of tourism in the park.